This gift pack contains 3 bottles, 200ML. of the classic malts . 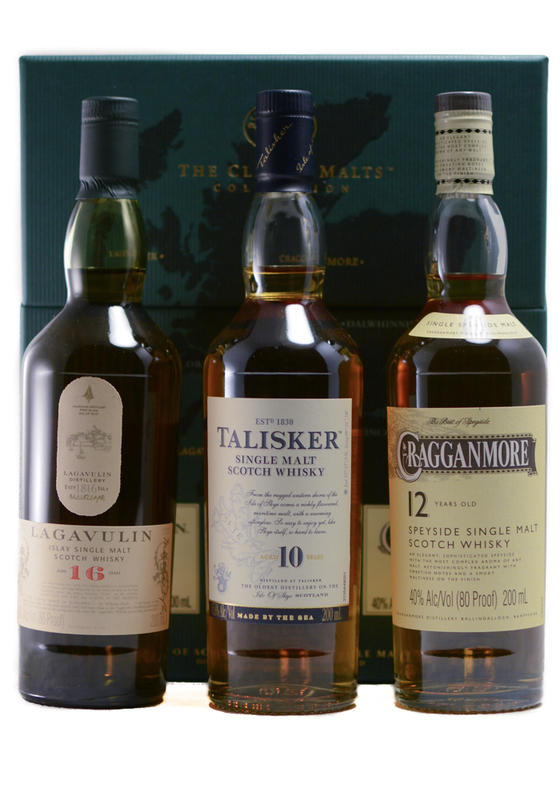 Lagavulin 16YR, Talisker 10YR, Cragganmore 12 YR.
Lagavulin 16 YR - is extraordinarily perfumed peaty aromas reveal a viscous mouthfeel with a sweet sherry note on entry and complex dry island flavors lingering on the finish. A sumptuous combination of luxurious mouthfeel and assertive flavors and aromas. 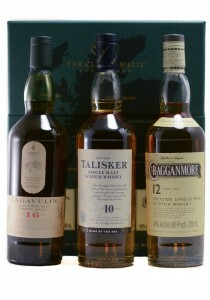 Talisker 10 YR - Ample smoke and a touch of peat with that smell of the sea and some pepper. The peat comes through on the palate as well. Cragganmore 12 YR - Hugely complex, rich with layers of flavor and a whiff of smoke in the finish.